Any respectable IT company seeks to embrace as many languages as possible. When you localize, say, your software product, new customers are definitely won. For example, one may not like Microsoft as a nearly monopoly in the OS market, but we should acknowledge that the US firm have translated its products into a host of languages, including the Kazakh one. Thus, the firm respects different nations – both big and small ethnic groups. But, on the other hand, Chinese corporations and governmental bodies often look arrogantly on their neighbors. Once upon a time, the Opera browser included a Kazakh interface. However, one year ago Opera was sold to a Chinese consortium. Since then, the new owners of the browser quietly removed the Kazakh interface from its settings. At the same time, they have kept intact a Latvian interface, although there 11 million native Kazakh speakers versus only 1.75 million Latvian speakers. It is obvious that such disrespect of the Chinese businessmen towards the Kazakh language is not based on demographic or market reasons. Perhaps, the entrepreneurs have been motivated politically. Another example. 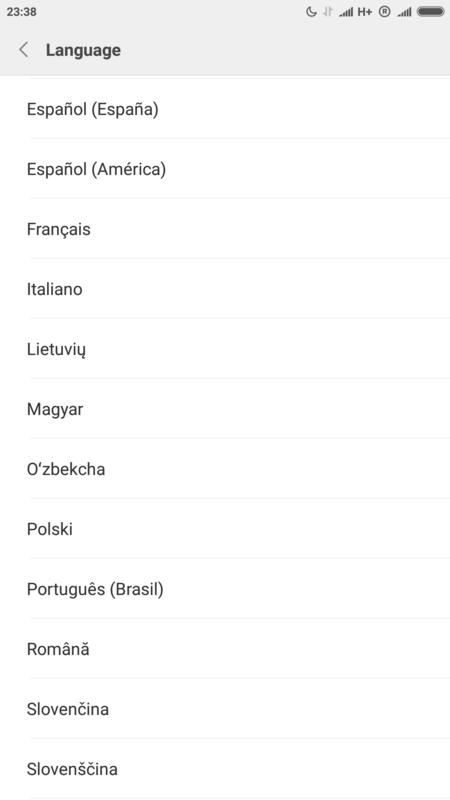 A Chinese electronics giant, Xiaomi, has included a Slovak (Slovenčina) interface for its smartphones. Once again, the Kazakh language has been quietly ignored by the Chinese, although 5.2 million Slovak speakers has been rendered a due respect. Of course, such disrespect has not been powered by personal opinions alone. This is a trend in the Chinese foreign policy, concerning Kazakhstan. And so called “private” Chinese enterprises have been simply doing the Beijing’s government bidding. Even in Kazakhstan itself, the Chinese disrespect the Kazakh language. 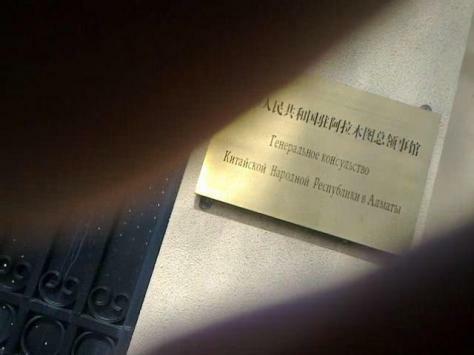 The above photo clearly shows that the General Consulate of the People’s Republic of China in Almaty uses only Chinese and Russian languages on its signboard. In this regard, the Chinese officials there act in accord with Russian diplomats. For instance, a website of the Russian Embassy to Kazakhstan contains only English and Russian versions, meanwhile the US Embassy to Kazakhstan has a Kazakh version of its website. Thus, American officials and businessmen definitely show more respect to foreign cultures.